jdbullion from Winnipeg, Manitoba, Canada stole our 1899 Perth Mint Gold Sovereign photograph to use on eBay, without our permission, to try to sell his own. It is totally dishonest. Image theft is endemic on eBay, and most sellers appear not to care whether their buyers are deceived. When we wrote this page, this eBay member’s feedback was 181 with 100% Positive Feedback according to eBay. 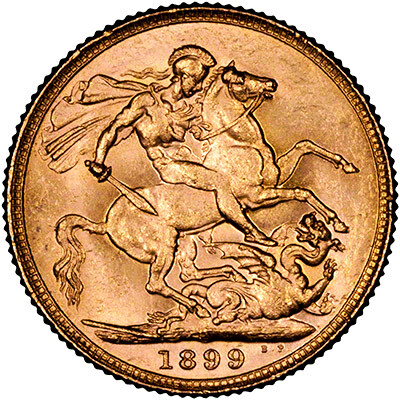 RARE This is the 1899 Perth Mint Victoria sovereign. 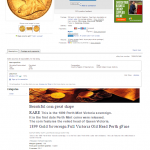 It is the first date Perth Mint coins were released. The coin features the veiled head of Queen Victoria. 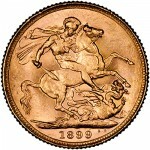 This is the 1899 Perth Mint Victoria sovereign. 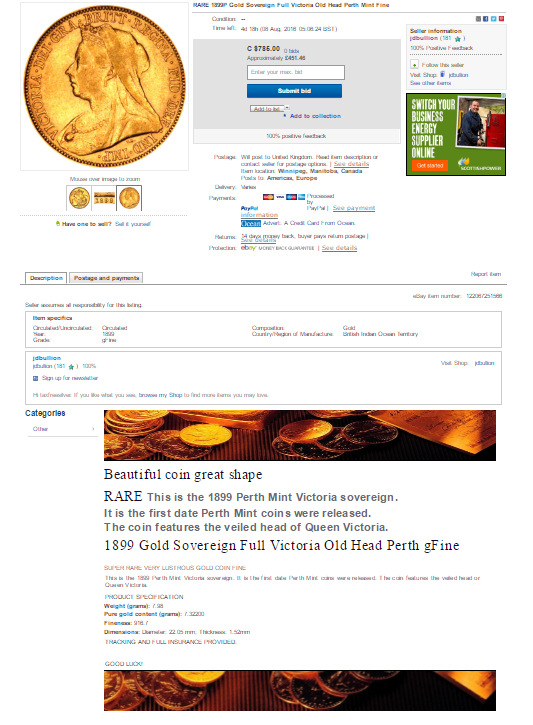 It is the first date Perth Mint coins were released. The coin features the veiled head or Queen Victoria. TRACKING AND FULL INSURANCE PROVIDED. The seller was asking for a starting price of $785 CAD.